When Should You Start Using Conditioner on Your Child’s Hair? 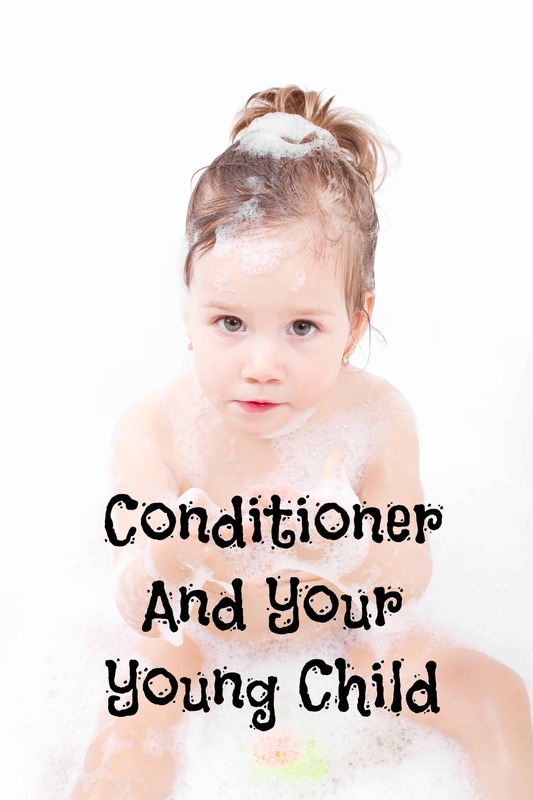 Many moms often wonder what is a good age to start using conditioner on their child’s hair. The truth is, it is safe as long as it is needed. Baby hair is too fine and young to need it. When your child reaches the ages of 2 or 3 and you feel using conditioner might help in keeping it soft and manageable and help with brushing out tangles and knots. By all means, use a dab! Here are some great conditioners to try for certain types of hair. Parenting Tips: Should Little Girls Wear Makeup and Get Mani/Pedis? All hair types: For all hair types, a great conditioner is Rusk Sensories Wellness Bedew Hydrating Conditioner. Fine hair: L’Oreal EverPure Sulfate-Free Volume Conditioner is a great volumizing conditioner for fine hair. It lacks harsh chemicals that other conditioners contain. This one is not a bad price, typically around $7 a bottle. Damaged hair: If the hair is damaged, try using Garnier Fructis Triple Nutrition Fortifying Creme Conditioner. It contains avocado and olive oil as well as Shea oils. You will find this at your local drugstore or Walmart for about $4.50. Itchy scalp: The winter can be tough for people who are prone to dry skin, and your head is no different. The best conditioner for a dry scalp is a little more pricey at $16 a bottle, but Klorane’s Conditioner With Oat Milk with help to alleviate the itchiness you feel. It contains oat extracts and also chicory root for help in detangling. A lot of children’s shampoo come with conditioner built-in. If you feel you need something more, than you can try the suggestions above, or what you have in your shower. Just remember that a little goes a long way! At what age did you start using conditioner products on your child’s head? What have you found to be most effective? Share your thoughts and suggestions below! Follow OurFamilyWorld Magazine’s board Parenting Tips I wish I knew on Pinterest. 11 Delicious Ways to Cook Broccoli So Even Picky Kids Will Eat It! Cyberbullying Lowers Self Esteem: Is Your Child Singled Out? Baby’s hair is smooth and delicate to everyday wear and tear. A natural and organic shampoo can strengthen and nourish hair follicles to make hair stronger. Use babo botanicals shampoo and conditioner to leave your baby’s hair manageable. Hi.. not sure if anyone is even answering questions here but here’s my dilemma.. I am mixed African American and Asian I guess you can describe my hair as wavy curly not coarse but I still have to take care of it different than a full Asian but definitely not as much as most African Americans. With that being said I have a mixed race daughter who’s father is straight up white. Well she took after her father who obviously has the stronger jeans because she has red silk smooth fine straight hair. I’m always asked am I a babysitter lol. Anyway I guess what I’m trying to ask without offending anyone is how do I take care of Caucasian hair because that’s what it is all the way. I get frustrated because I can’t even use my brush on her or her hair will look stringy and greasy and I put her hair in a ponytail and the hair ties just slip out by the end of the day it looks like she’s partied all night. I can’t part her hair and let go to reach for a rubber band or I have to start over on the part. Do I use conditioner? Help sorry so long. Hey this was great to read! I love hearing about new products, and we needed the suggestions. My girl has some wild hair!!! I started using conditioner in my daughters hair when she was three. Her hair would get all tangled and it helped. Great tips!! I love the Garnier Fructis hair products! This is super helpful for so many of us! It’s sooo hard to decide on what to use! I always bought the 2 in 1 shampoo and conditioner for my daughter when she was little. I also used a spray in detangler and kept her hair trimmed every 6ish weeks. Then when she was a bit older and could lean her head back without getting stuff into her eyes, I switched to grown up conditioner for her. I started using a spray leave in conditioner but now we use a 2 in 1 and it works great. We started with a leave-in spray and now we use regular conditioner. My youngest (3yrs) has super long hair! My daughters had really long hair so conditioner was a much needed staple when they were little and still is today. Thank you for your suggestions! My almost 3 year old has hair down to her bum and we need a good conditioner for her! These are some good suggestions! I guess you’re right that just like for adults the type of conditioner you need (and when) depends on the hair type. Is Breastfeeding Really Much More Cost-Effective Than Formula Feeding?